Enjoy 25% off Outerwear! Wrap up against the elements this winter with our unlimited outerwear choices... From down-filled parkas to everyday gilets, the choice is yours. Start promoting this great sale today, and as always enjoy free delivery on orders over $75. 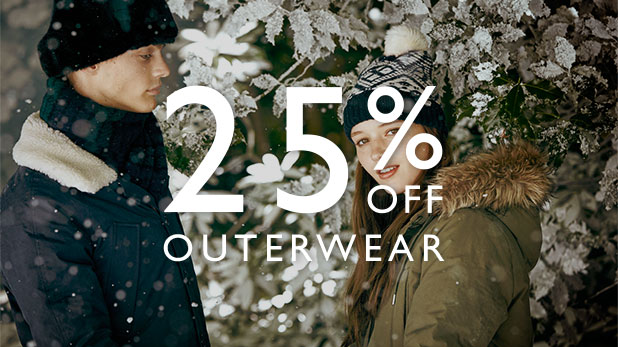 Promotion: Enjoy 25% off Outerwear! Think you'd be a great fit for the Jack Wills Affiliate Program? Sign up here today!